You are here: Home / News / Sponsor Jason High at WSOF 33! Sponsor Jason High at WSOF 33! 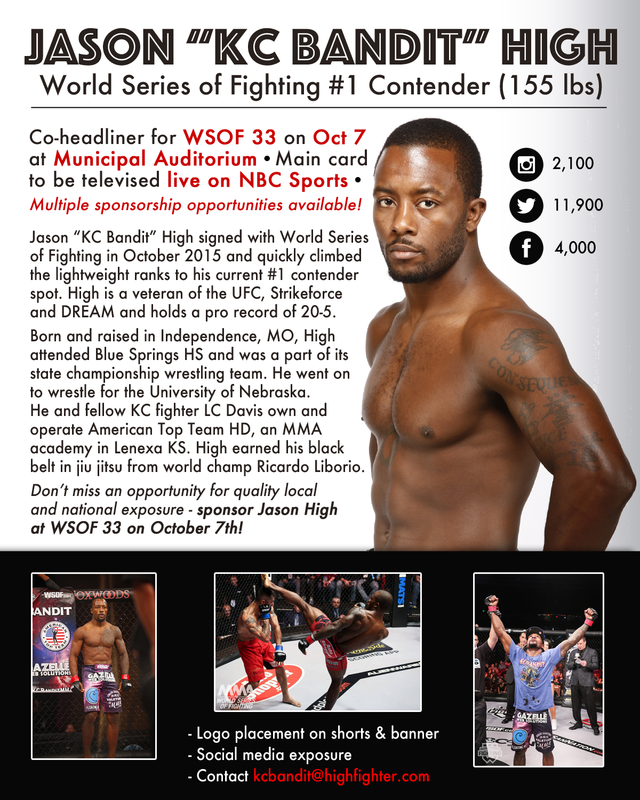 We have multiple sponsorship opportunities available for High vs Zeferino at WSOF 33. Whether you purchase a single logo placement, multiple, or provide additional apparel for walkout and press, your brand will enjoy local (Kansas City) and national (primetime live television, NBC Sports) exposure. Contact kcbandit@highfighter.com for details and prices.